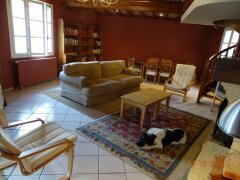 Occitanie, Ariège, The Nest, Couzinet, 09700 Montaut. 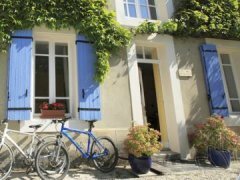 Occitanie, Ariège, Mirepoix - only 30 kms Carcassonne. Occitanie, Ariège, 10 Mins from Mirepoix, Pyrénées. 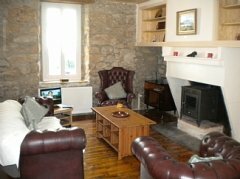 We have four individual self-catering cottages (gîtes), two with two bedrooms, one with three bedrooms and one with four bedrooms. 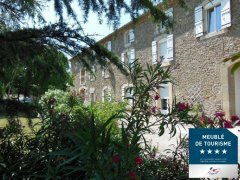 The gîtes are set with our home in five acres of the Pyrenean foothills. Occitanie, Ariège, 10kms from Pamiers. Occitanie, Ariège, Mirepoix 30 kms from Carcassonne. 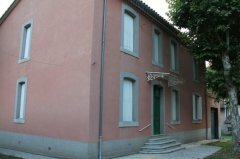 Occitanie, Ariège, 4 Rue de la Poste, Lesparrou. Occitanie, Ariège, 1,5 km from Mirepoix. Occitanie, Ariège, Rieumes, Saint Martin d'Oydes. Occitanie, Aude, Montlaur near Carcassonne. Occitanie, Aude, Montlaur near Carcassonne . River Bathing*Are you looking for a place for July? 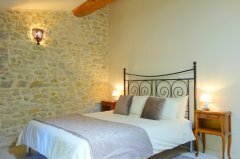 Occitanie, Aude, Bize Minervois 10 kms from Minerve. Occitanie, Aude, Between Castelnaudary and Mirepoix. In one of the smallest, most charming villages in Aude, experience the French way of living. 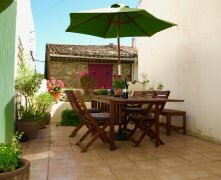 Between Castelnaudary and Mirepoix a fully equipped house for 2 to 4 people. The owners, living a stone's throw away, will help you to discover the area. If the weather is nice you will be probably invited for a meal in our fantastic summer kitchen in our nice garden. Occitanie, Aude, Quillan Town Centre. Occitanie, Aude, St Pierre La Mer. Occitanie, Aude, Limoux Town Centre. 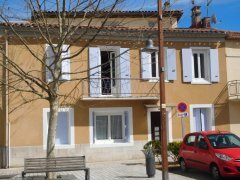 Spacious 3 bedroomed apartment in the town Centre; Close to Carcassonne & the Pyrénées. 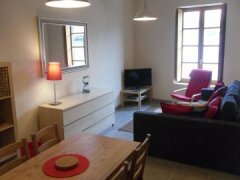 Walking distance to language school, weekly market, wine tasting, shops, bars, car hire, river, local swimming pool, train station. Private roof terrace, shared courtyard, street parking. Fast Wifi, well equipped kitchen, full size oven, microwave and many extras. Double glazed, Insulated and sound proofed. Open plan, two separate shower rooms. Washing machine and drying area. 3rd floor with stunning views - no lift. Other long term mostly English speaking guests. VISA application assistance and paperwork provided. Lovely Studio on the ground floor of a large townhouse. 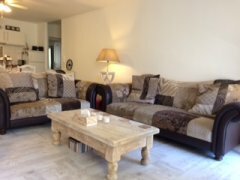 Just a few minutes walk from the main square with it's weekly market, shops, bars, restaurants, language school, swimming pool and river. There is Cycling, Kayak and many tourist attractions close by. The apartment has a well equipped open plan kitchen, with dining area and living room. Sofa bed for guests. Bedroom is curtained off with kingsized bed, drawers and wadrobe, leading off to the shower room. The apartment is double glazed, heated, has acoustic & thermal insulation. Good Wifi, DVD Player. Washing machine and drying area in the courtyard. The apartment is warm and cosy in the winter months. Luxury 3 bed apartment on the first floor of a large townhouse. Friendly town: Language school, Market, Shops, Bars, Restaurants and train Station all within a few minutes walk. Open plan kitchen, living, dining. French doors to balcony overlooking the courtyard. Well equipped kitchen, with all utensils. Master bedroom has King size bed, sofa bed & en-suite shower room. Second twin bedded room. Large third bedroom with 6ft bed and en-suite access to the family bathroom with a bathtub, separate shower, loo and vanity unit. 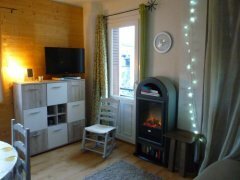 Laundry/utility room, double glazed, Insulated, acoustic insulation, heated, TV, DVD player, Wifi. Occitanie, Aude, Pont Vieux, Carcassonne Centre. Occitanie, Aude, 35 km from Carcassonne. 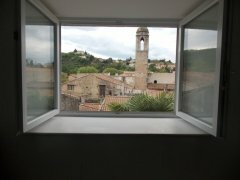 17C Stone Cottage with Stunning 180 degree views over the Aude Valley. 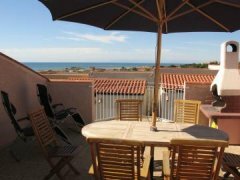 Tranquil and picturesque location, in a village setting, within a short walk to local shops, restaurants, bars and markets. Occitanie, Aude, On the banks of the Canal du Midi. Le Domaine Gabachou, an eighteenth century former farmhouse that houses three beautiful gîtes, is uniquely situated on the tree-lined banks of the famous Canal du Midi. The house forms part of the 200 year old farmhouse. Occitanie, Aude, On the Canal du Midi. 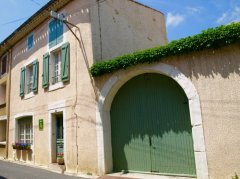 Le Domaine Gabachou, an eighteenth century former farmhouse that houses three beautiful gîtes, is uniquely situated on the tree-lined banks of the famous Canal du Midi. 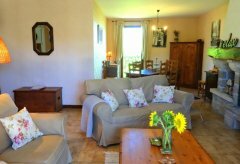 Le Tournesol is a bright, spacious and comfortable self contained apartment. Occitanie, Aude, 40 mins from Carcassonne. Occitanie, Aude, 30 minutes from Carcassonne . 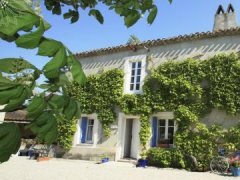 Detached south facing villa set on the edge of a popular village, 100 metres away from the canal du Midi. Open plan lounge/dining/kitchen with satellite TV and Wifi. 3 bedrooms with spacious bathroom and 2nd WC. Open views across former vineyards to both front and rear of property. Large, light and airy, 2nd floor apartment with hillside views. Courtyard access on the ground floor; airy bedrooms, master with en-suite shower room, separate open plan living/dining/kitchen with TV. 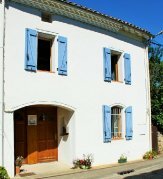 Laundry room, bathtub and shower in family bathroom, heated, insulated, Wifi, 5 mins walk to local market/town/language school/supermarkets/trains/bars/river/local swimming pool. Occitanie, Aude, Close to Quillan centre. Occitanie, Aude, Small town not far from Quillan. Some call it "a haven of peace", others "a little paradise". 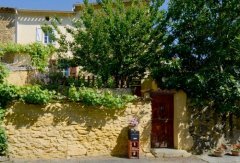 At 1 km from the D119 and 10km from Carcassonne, a beautiful stone property houses a spacious, light and beautifully furnished apartment with private terrace for six people. Guests have their own private entrance to the apartment with private parking. The apartment consists of a fully equipped American kitchen, a spacious dining/living room, a double bedroom with bathroom on the ground floor (access ground floor) and two other double bedrooms upstairs, both with private bathrooms. A large terrace overlooking the pool and the boulodrome also offers guests a breathtaking view of the surrounding countryside with its gently rolling hills. You can walk at leisure in the park with its surrounding woodlands. Occitanie, Aude, Historical centre of Limoux. 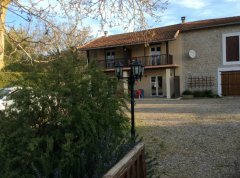 Occitanie, Aude, Quillan - 2 mins walk to centre. 2 minute's walk to village centre and 10 minute's walk to the new swimming and fishing lakes! Beautifully renovated, 4 double bedroom detached house, on the edge of town. 2 minutes walk to the picturesque riverside square, with its cafes and restaurants. 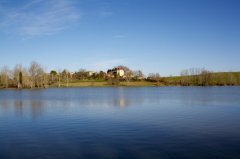 10-15 mins walk from the new swimming and fishing lakes!